The first birds to arrive are the breeding adults: sexually mature birds from the age of four and up. They make their way straight to their nesting place, which they have occupied in previous years. There they sleep, preen, rest and recover from their long journey, and wait for their partner to arrive. More R&R time for both the birds, as well as nest repair. Although swift nests are not an elaborate affair they do degrade over time, and the birds will catch nesting material on the wing (such as feathers, dried grass and airborne seeds), building it into their nest cup using saliva as a glue. As more swifts arrive from Africa, the non-nesting birds will now also start to appear. These are young birds (usually one to three years old) that haven’t yet secured a nest site for themselves. Breeding adults will begin laying their first eggs, usually 2-3 in a clutch, spaced a few days apart. Male and female swifts take turns brooding; being dedicated parents they can be reluctant to leave the eggs for even the few seconds it would take to swap shifts (partners sometimes even have to evict each other from the nest to take over the task). The eggs will take about 18 days to hatch. As the final stragglers arrive, the colonies are now full. The eggs are hatching, with the naked and blind nestlings fed hourly by both parents. Birds roam far and wide to find rich feeding grounds. If weather conditions are bad and the parents are delayed, the chicks have the ability to enter a state of torpor for a few days, where they slow their metabolism and their development. The non-breeding birds are now also testing their luck and looking for vacant nest sites: they will fly by nests, banging their wings along the side of the hollow to check if it is occupied. This leads to a lot of screaming by the resident breeding birds, and occasional physical confrontations. At night, breeding birds will sleep on the nest, but non-breeders sleep on the wing, sailing at a height of 2000 to 3000 meters above the ground. The nestling are finally fledging. They spend their last few days in the nest strengthening their wings with continuous “push-up” exercises. Their parents put them on a diet, as they have to fall below about 45 grams to be able to fly. As fat reserves are converted to muscle, the young spend a lot of time longingly staring out of the nest hollows up at the skies. The adults now start to leave, to begin the long journey back to Africa. Eventually, when they’re around 6-8 weeks old, the young decide to follow. Once they launch themselves out of their hollows, they form large groups and also set out in a southerly direction. The swifts are gone, not to return until next year’s season begins the cycle again. Although the common swift looks much like a swallow or a house martin, they are a distinct species with many unique features. The similarity between swifts and other aerial birds has evolved through convergent evolution, owing to the their predominantly airborne lifestyle. The adaptation to constant high-speed flight is what has given the swift its distinctive anchor-like silhouette: the shape of their wings, much like a boomerang, is highly aerodynamic. Though swallows and martins also have similar shapes, there are a few easy ways to tell swifts apart. Firstly, swifts do not have large white patches on their undersides like the other two species. They also don’t perch on wires, due to their very small underdeveloped legs, and tend to feed at a much higher altitude than swallows and martins. Finally, you can tell a swift apart by the sound it is making: where swallows and martins have fairly soft calls, swift vocalizations sound like loud, shrill screams! Perhaps one of the most fascinating things about common swifts is their predominantly airborne lifestyle. Swifts are migratory, flying thousands of kilometers each year to and from central Africa, where they spend their time feeding high above the grassy savannas. Swifts only ever stay a few months in Europe, where they nest and breed, before returning again to their southerly feeding grounds. Astoundingly, between taking off from their nest in Europe and returning again the following year, the swifts never once touch down. Like a fish through water, swifts spend their lives on the wing. Swifts eat, sleep and even mate whilst soaring through the air at breakneck speeds. There are only a few birds that reach higher speeds than swifts, who can travel along at speeds around 112km/h. That is equivalent to over 30 meters per second! To achieve these high speeds, swifts make use of updrafts and wind currents, that carry them along faster than their wings alone could manage. It is these wind currents that swifts will “catch” and surf along each year on their long journeys to and from their natal colonies in Europe, regularly covering over 200.000 kilometers in a year. Common swifts are seen as symbols of urban life due to their propensity for nesting in man-made buildings. Unfortunately, many birds these days are struggling to find nest sites as buildings have become increasingly “swift proof”. For centuries, our buildings have had plenty of nooks and crannies for the birds to raise their families, but modern architecture has made our roofs and awnings too impenetrable: it has been estimated that less than 1% of modern buildings are able to accommodate swift nests. Additionally, old buildings are regularly knocked down to make room for new ones, meaning swifts arrive back from their long journeys only to discover they have been left homeless. As a result, swift populations have been in drastic decline in several areas around Europe. In the UK, common swifts are listed on the IUCN’s Amber Alert List of threatened species, as their population has been halved in the past 20 years. There is good news however: there are ways to help! Organizations around the world are raising awareness for the plight of the common swift and are providing several practical solutions. 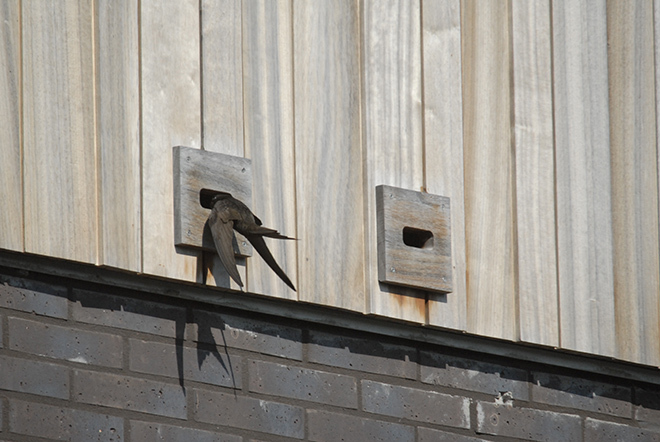 One of the simplest changes you can make, as a home owner or a builder/architect, is to incorporate swift nest boxes into your building design. These boxes are about the size of a shoebox and can be either built into the walls or attached to the outside of a house. They are cheap, durable, and will provide swifts with a place to care for their families without worrying about sudden eviction. And what’s more: you reap all the benefits of a free bug extermination service! A whole colony of common swifts have found a new home and friendly neighbors just north of Ghent city, Belgium. The Voorhaven area, where the colony has settled, is one of Europe’s best preserved nineteenth century harbors, with stunning monuments and warehouses. A local organization, De VZW Voorhaven, has taken it upon themselves to protect the heritage listed site, sharing their love for the area with visitors and educating people on the history and significance of the old buildings. 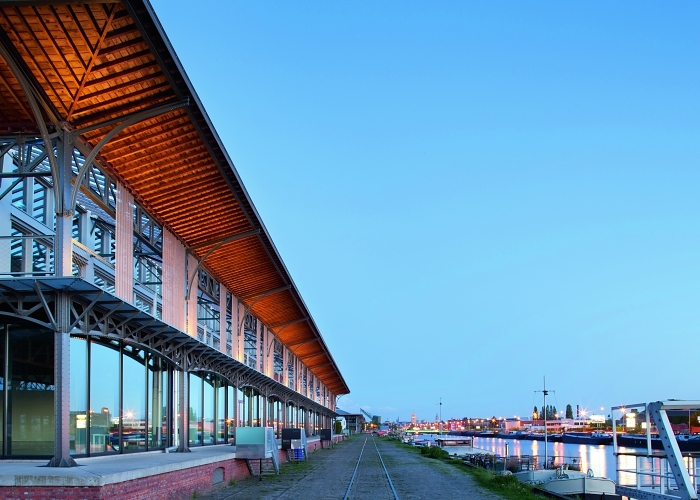 In the 1990s, a native Voorhaven business called Locus began renovating the 19th century warehouses and later introduced several new buildings, incorporating sustainability and environmental design. Locus always includes green projects in their building plans, such as solar panels, green roofs and nest boxes, and are passionate about sustainability and environmentally friendly urban design. They are currently working towards full climate neutrality for the entire Voorhaven area (3.5ha). About ten years ago, the CEO of Locus, Dirk Valvekens, had twenty swift nest boxes installed in one of the new building projects at the Voorhaven. These luxe bird penthouses were an instant hit, and over the next few years all twenty ended up inhabited by happy swift couples. The birds return each year to the same boxes to raise their next brood; Locus has even had to install more nest boxes on neighboring rooftops to keep up with demand! This year Locus financed the development of the Voorhaven swift nest box website, to raise awareness for the plight of the swifts and for the area in which they reside. The nest box cameras were set up both to give the public a chance to see these stunning birds up close and to enable research into their fascinating and secretive lives. Locus believes that through community projects, such as this one, wildlife and green spaces can become a meaningful part of our urban neighborhoods. We can make a real difference to our environment, and “make our city smile”. 1) The common swift gets its scientific name Apus apus from the Ancient Greek α, a, “without”, and πούς, pous, “foot”, due to their small and weak legs. Their 4 toes all point in the same direction, making perching difficult. They are however perfectly suited for gripping onto rocky surfaces; sometimes you can see the birds in the nest box hanging on the wall! 2) Swifts are not swallows: one of their closest relatives is actually the hummingbird! 3) Swifts have a very varied diet, eating up to 300 different types of insects and arachnids. They also have hungry appetites: one swift catches about 20’000 bugs per day! 4) When swifts catch insects, they store them in a lump in their throat called a bolus. Each bolus contains 300-500 insects, and nestlings can eat about 20 of these per day! 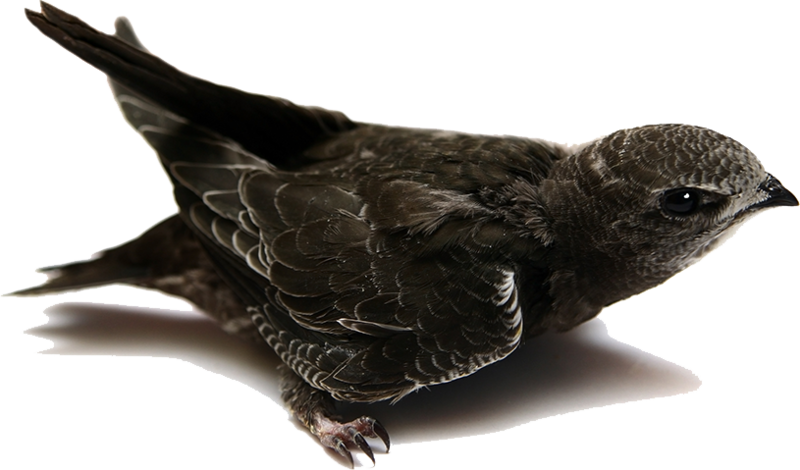 5) Swifts have their very own pet pest: a flightless insect called a louse fly. They hatch when the birds arrive in Gent and can regularly be seen crawling across the backs of the swifts on our cameras. Strangely enough, though they feed on swift blood, their presence doesn’t seem to have a negative impact on the birds’ health. 6) Swifts have beautiful big eyes framed by long lashes. These lashes have actually evolved to keep their eyes safe during high speed flights. 7) Despite the common myth, swifts can actually take off from the ground. It is not easy though, and young birds often struggle. 8) Male and female swifts are so similar looking they can be hard to tell apart, even when in the hand. 9) Young nesting swifts are able to survive for a few days without food by dropping their body temperature and metabolic rate, entering a state of torpor. 10) Swifts are very long -lived: the oldest known swift lived to 21 years! 11) Swifts are efficient hunters. When on the hunt, their catching rate is about one insect every 6 seconds! 12) Swifts are so fast they have very few natural predators. There are only a few birds of prey (e.g. the peregrine falcon) fast enough to catch a flying swift. 13) Swifts are loud: their feeding groups are often called “screaming parties” due to their shrill calls, and young birds are called “bangers” as they bang their wings along the entrances to nest sites. 14) Swifts have been around a long time; the oldest known swift fossil, found in Germany, belonged to a bird that lived 49 million years ago! 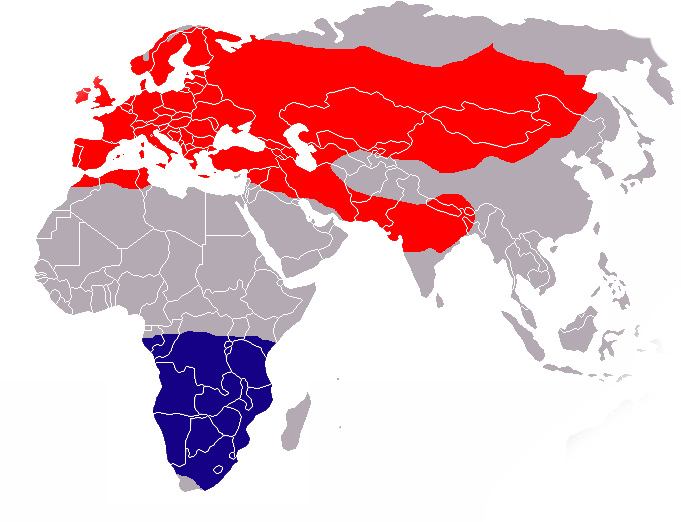 15) During their lifetime, a single swift will fly over three million kilometers. That is equivalent to flying four round trips to the moon and back! 16) Talk about taking the top bunk: swifts sleep on the wing, snoozing about three kilometers above the ground! 17) A lasting love: swifts usually stay with their partners their whole lives and have very low “cheating” rates (extra-pair paternity). 18) When young birds finally settle down to nest for the first time, they have been constantly flying since they left the nest as a fledgling! That’s about 3 years in the air non-stop! 19) Swifts are very clean: unlike other birds that make a mess around their nest, swifts tidy up after their children and leave little to no droppings behind! 20) Before humans came along, swifts used to nest in rocky crevices or old woodpecker hollows. Collaboration is key to any success story. In the case of the Voorhaven swift project, our success is tied to our work with swift expert Lyndon Kearsley. Internationally renowned, Kearsley has dedicated his life to studying this fascinating and elusive species. His past work at the Voorhaven includes tracking swift habits by ringing birds (attaching metal bands to their legs for identification) as well as fitting individual birds with geo-locators to track their migration to and from Africa. 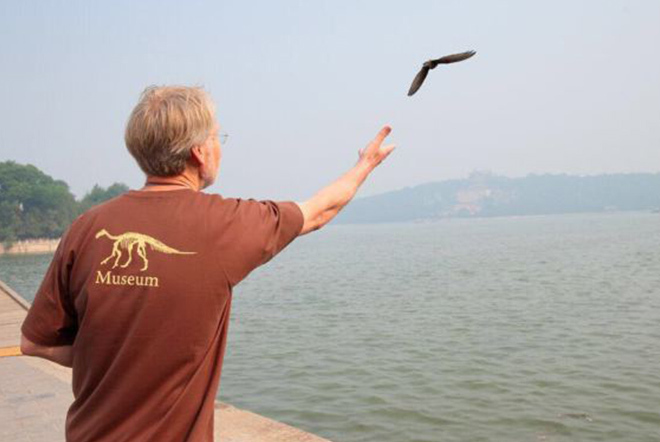 Future collaboration with researchers such as Kearsley will allow the Voorhaven swift project to expand our knowledge of these charismatic birds, ultimately aiding conservation efforts for swifts everywhere. By studying swifts, we educate ourselves about how best to co-exist with wildlife in our cities and towns. Swifts have made it easy for us: they adopted human dwellings a long time ago as their preferred residences. Hopefully by learning how and why, we can encourage more wildlife into our cities, creating green spaces for all to enjoy!